South Korean manufacturing giant, Samsung, has had a couple of explosion cases to deal with over the past few years. The biggest of these cases is obviously the explosion of the Galaxy Note 7 which forced the company to recall the device at a huge cost. 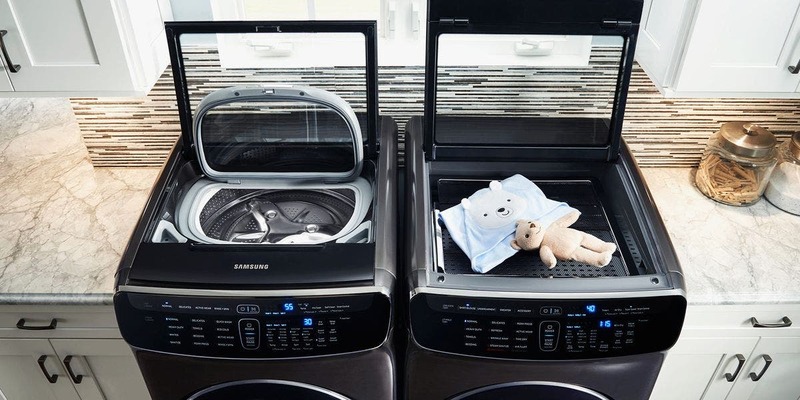 Today, Samsung Electronics reached a preliminary agreement with the plaintiffs in response to a class action lawsuit involving a washing machine explosion. The lawsuit originated in November 2016, when Samsung Electronics USA announced that it would voluntarily recall 2.8 million specific open-top washing machines. According to the US Consumer Product Safety Commission (CPSC), it got 730 complaints of the machine exploding and there were injuries in nine cases. CPSU Chairman, Elliot Kaye, said that the top cover of the washing machine was very dangerous and could be completely blown up, mainly due to defects in the design of the washing machine. A total of 34 models of Samsung’s open-top washing machines is affected, with production dates from March 2011 to November 2016. Samsung later said that the problem was caused by the high-speed rotation of the washing machine when washing heavy objects. After the rotation is out of balance, there is an excessive shock, which causes the upper cover to fly. To this end, Samsung has encountered class actions. The plaintiff claimed that Samsung had known that its washing machine had hidden dangers many years ago and that it might explode. According to the US evaluation agency Consumer Reports, although Samsung reached a preliminary settlement agreement, it refused to recognize all the charges of the plaintiff.